Medina, Ohio, tucked away just 40 minutes outside of Cleveland, is a hidden gem in Northeast Ohio. The county is full of farmland, orchards, wineries, and garden centers and it gives way to some of the best local eateries the area has to offer. The populous city is full of quaint coffee shops, unique shopping, and plenty of fantastic culinary experiences to keep you busy. 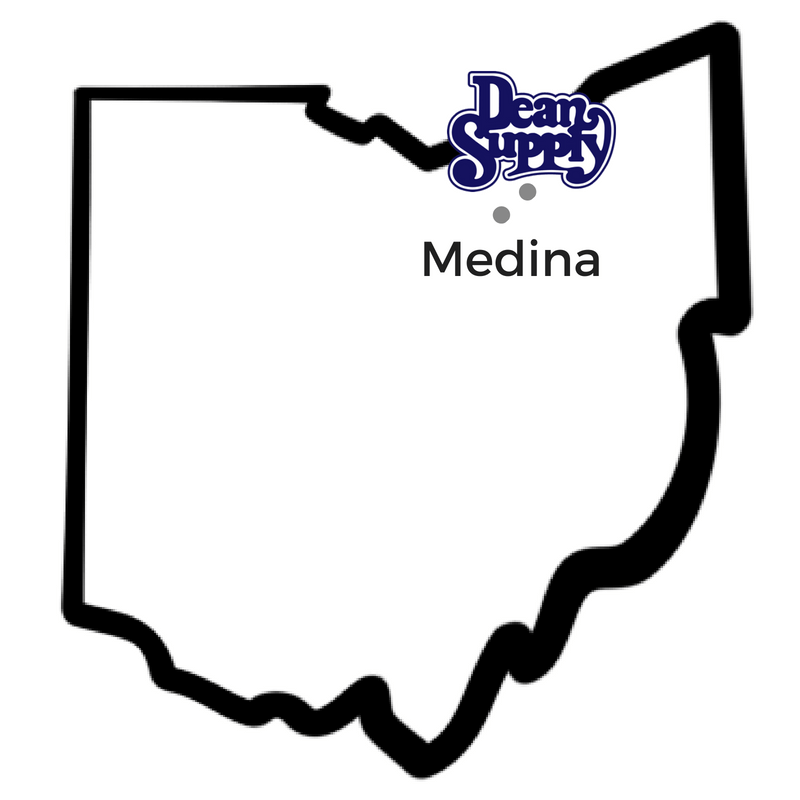 As the premier restaurant supply and equipment store for Medina, Ohio, you can trust Dean Supply to help you reach your goals. We're open to the public and offer the option buy case or individual quantities to meet every need of your restaurant, bar, daycare, school, church, or home. Our Cleveland warehouse is stocked full of over 14,000 items just waiting to be shipped to your door - in most cases, it only takes two business days! So no matter if you need professional cookware, kitchen equipment, food prep tools, industrial cleaning supplies, coffee urns, bulk disposable tableware, restaurant dinner plates or anything in between, you can count on us! Stop wondering where to buy bulk restaurant supplies and start saving with Shop At Dean! Want to avoid high shipping costs? While Dean Supply has quick and reliable shipping, in some cases it may be best to avoid shipping costs altogether. Since our showroom is conveniently located just outside the heart of Downtown Cleveland, it allows easy access from Medina in a trip that's less than an hour. By utilizing the option to place an in-store pickup order, you can cut down on shipping costs. Or if you have an order of at least $150.00 and are shipping to a commercial location, local truck delivery may also be an option for you. Click here to learn more about this shipping and delivery options. Whether you are opening a new restaurant in Medina, Ohio or you are looking to refresh your commercial glassware, wholesale dinnerware, catering supplies, party decorations, kitchen equipment or food preparation tools, Dean Supply will give you what you need at the prices you want! Want to look at a Dean Supply Catalog? Check out our Reference Guide. It's your complete resource for all of the Medina restaurant supplies and equipment, including top products from top brands that will help you run at your most efficient.